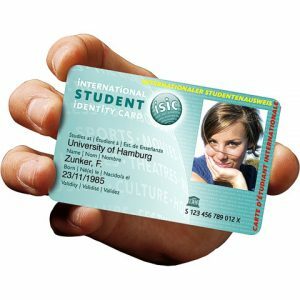 The ISIC (International Student Identity Card) is the only internationally recognized identification document using which a person can identify him/herself as a pupil/student almost everywhere and benefit from discounts that are available also to the pupils and students living in their own countries. With the ISIC you will receive special rates for travelling by bus, train, ferry and for international scheduled flights from about 80 airlines. There are also discounts for visits to museums, galleries, cheaper accommodation in hotels and lower prices for attending sports events. More than 120 travel organisations from more than 125 countries have joined together in the ISTC (International Student Travel Confederation) to make the ISIC work. It is an umbrella organisation of specialized student and youth travel agencies, whose members negotiate discounts for travelling within their countries, for international travel and other discounts. Each ISIC card has the helpline phone number on it to get free information on the international health regulations or visa requirements. In case of critical emergencies, you can also seek advice around the clock. What documents do you need to apply for the ISIC? 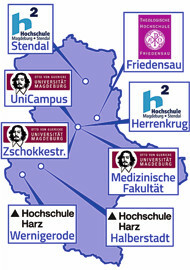 You can apply and collect your ISIC from the Studentenwerk Magdeburg directly at the Herrenkrug and UniCampus Infopoints, as well as in the Wernigerode Counselling Centre.